SINGAPORE, 23 June 2014 – Singapore Changi Airport handled 4.37 million passenger movements in May 2014, a growth of 2.0% compared to the same period in 2013. Flight movements increased by 1.7% to 28,930. During the month, 157,500 tonnes of airfreight were processed at Changi, a 3.5% increase year-on-year. The growth in passenger traffic was supported by an increase in air travel between Singapore and Northeast Asia, South Asia and Southwest Pacific, offset by weaker performance on some Southeast Asian routes. Among Changi Airport’s top 10 country markets, Hong Kong and Vietnam registered double-digit increases. Travel to and from Thailand continued to be impacted by the political situation, decreasing by 17%, with Bangkok and Phuket traffic dropping by 24% and 7% respectively. For the period of January to May 2014, 21.95 million passenger movements were recorded at Changi, 1.8% more than the corresponding period in 2013. Aircraft landings and take-offs grew by 3.6% to 143,550. Cargo shipments increased by 0.8% to 755,400 tonnes for the same period. As at 1 June 2014, more than 100 airlines operate at Changi Airport, connecting Singapore to 290 cities in some 75 countries and territories worldwide. With more than 6,600 weekly scheduled flights, an aircraft takes off or lands at Changi roughly once every 90 seconds. New Airlines – VietJet Air (IATA: VJ) launched a daily Ho Chi Minh City-Singapore service on 23 May. VietJet is the sixth airline to operate this route, adding over 2,500 one-way seats each week. New Services – Tigerair commenced a thrice-weekly service to Xi’an, China from 15 May. With this latest addition, Tigerair now serves six Chinese cities from Singapore. On 27 May, SilkAir introduced a new thrice-weekly service to Kalibo, Philippines, the nearest international gateway to the white sandy beaches of Boracay, an immensely popular beach holiday destination. The service will be offered through a circular routing through Cebu. SilkAir also added Mandalay, Myanmar to its network on 10 June. The thrice-weekly service will operate a Singapore-Yangon-Mandalay-Singapore circular route. Singapore Airlines has also resumed its seasonal twice-weekly service to Athens, Greece from 9 June. The service will be offered through the summer season up to 9 October 2014. New Stores – Changi Airport saw an array of new stores open in May across all three terminals. In the public area, local barbequed meat specialty brands Fragrance Bak Kwa and Bee Cheng Hiang opened their first landside stores in Terminals 2 and 3 respectively. Local fast food chain 4 Fingers Crispy Chicken now serves up delicious Korean-styled fried chicken at Terminal 3’s Basement 2, while Paradise Dynasty, known for its multi-coloured xiao long baos, has opened its first airport restaurant in the public area of Terminal 3 (Level 3). Lovers of the soup-filled meat dumplings can now fulfil their cravings at Changi Airport. Over in the transit area, four new retail outlets opened their doors in May. Luxury brand Coach, as well as oriental fashion label Shanghai Tang, began welcoming customers at Terminal 1, providing added high-end shopping options for passengers. Over in Terminal 3, luxury watch retailer Maison de Chronus and American luggage brand Tumi have opened their second and third airport stores respectively. 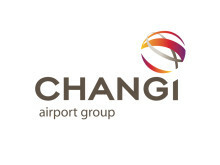 Changi Airport Group (Singapore) Pte Ltd (CAG) (www.changiairportgroup.com) was formed on 16 June 2009 and the corporatisation of Singapore Changi Airport (IATA: SIN, ICAO: WSSS) followed on 1 July 2009. 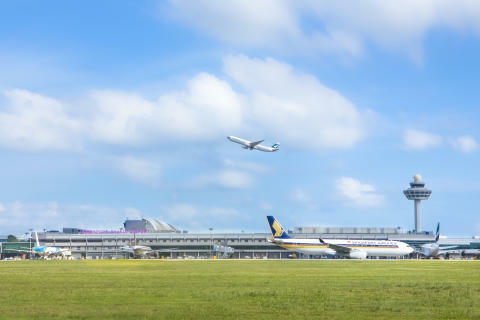 As the company managing Changi Airport, CAG undertakes key functions focusing on airport operations and management, air hub development, commercial activities and airport emergency services. CAG also manages Seletar Airport (IATA: XSP, ICAO: WSSL) and, through its subsidiary Changi Airports International, invests in and manages foreign airports.